Hooper was last year's breeding buck, currently on my list to be sold. He's a 7/8 Kiko youngster we bought early last summer to breed our Nubian and Nigerian does when they came into season in the fall. As far as I know he did his job, although not without some mix-up, unfortunately, (see "More Misadventures in Goat Breeding"). The other night Dan was out after dark to check on things. There were dogs barking like crazy, but he told me he heard something that really got his attention; not a dog, but a goat. It was the sound of a goat in distress. He took the flashlight and headed toward the buck shelter. When he got there he found a mess. Hooper and Alphie had gotten into a tussle (typical for goats). Both have horns and both have collars. Somehow Alphie had gotten a horn hooked under Hooper's collar. In their struggling they had gotten completely tangled up. Hooper was strangling and Alphie was panicking, but Dan said they were so twisted up Hooper's collar was too tight to get off. He had to flip Alphie head over heels to loosen the collar. He could not get Alphie free but was finally able to release the latch on Hooper's collar to free them both. He said Hooper stood there dazed, pupils fixed, glassy eyed. Dan kept calling his name, trying to get him to respond, but Hooper went down and stopped breathing. Dan said he started furiously pumping his ribs and blowing into Hooper's nostrils. Hooper finally came to. Hooper's okay but now collarless. You goat folk are probably thinking of the same two things I am - horns and collars. Horns are a topic of controversy amongst goat owners, and there are many "war" stories out there about them. I have a few more of my own. While dairy breeds are traditionally disbudded as kids, the meat and fiber breeds are not. Personally, I have had too many bad experiences with horns to like them. Dan, on the other hand, thinks they are natural and beautiful. A lot of folks feel that way. Horns (or rather hornlessness) is one of the reasons Ziggy is part of my breeding program. That little Nigerian is naturally hornless (aka polled)! I'd love to keep a small, dual-purpose, polled herd (with the added benefit of creamy Nigerian milk genetics). Of collars, many folks like those plastic chain-look goat collars. They are said to be fairly sturdy but will break apart if necessary. I doubt they could be used to catch and hold a goat that definitely does not want its hooves trimmed. Or to drag away the goat who has managed to dart through the gate at feeding time and jam her head into the open bag of sunflower seeds (no horns required for that!). Remember what Ma Ingalls used to say, "All's well that ends well"? That's what I have to walk away with here, thankful the worst didn't happen. Thankful that it was Dan who found them, that he happened to go outside at that moment, that he was even home at the time. It's unlikely I would have had the strength and weight to come between the two struggling bucks to free Hooper. But it didn't work out that way and I'm very thankful for that. Glad this story had a happy outcome! For what it's worth, I don't keep collars on goats, period...but I put them on when they are tied for their grain every day, so they associate being collared and tied with something nice (instead of just hoof-trimming, combing, and medical treatment). It only took about three days to get all my goats into this routine, and it takes maybe four extra minutes at chore time every day, but it is SO worth it, especially when I need to tie an injured goat for treatment, as this is the time when a goat could be hardest to catch! Also, it's not just horns that can get them into trouble - although you are right, they can! But I've heard stories about collars somehow getting caught on fencing, brush, feeders, you name it. "Stuck" goats panic, which can make even a simply uncomfortable position turn onto something tragic. Also, a "stuck" goat is very likely to get pounded brutally by other (even normally "nice") goats, who can be sadly thuggish when they know the other goat cannot fight back or escape. Hope it doesn't sound like I'm on a soapbox; I know some folks feel collars are necessary. In which case, it might be helpful to keep a very sharp knife in the barn in case there's ever a need to cut a collar off in an emergency. "...said to be fairly sturdy but will break apart if necessary." I don't have goats but I have dogs. Our household has had multi dogs for many years - from a high of 7 during my breeding/show years to the current 2 (retired show boys) and collars are a huge no-no. Between play tussles, occasional disagreements, crate edges, etc. the danger of someone strangling is all too real. I had one bad experience before I could get everyone's collar off after a walk to make me totally paranoid. Glad to hear Hooper is okay. I am sure you are still breathing a great sigh of relief. The horn/hornless debate is an ongoing one. The first herd we bought when we moved back from Alaska were all hornless. We decided we wanted a more natural herd and did not remove the horns of the kids when they were born. That worked fine for a while. Then we started finding them stuck in the field fence we have around the pastures. Most we were able to free, after a hard tussle and many bruises on our arms. Several we just couldn't get out and had to cut a wire or two on the fence, which we hated to do. Several of these goats had been there for quite some time, some even over night. We were so glad a predator had not found them. We always feed in the evening and count everyone to make sure they are there, but they are still free to graze after feeding time. That was the first problem. Then, as the horns grew longer, we found that it really hurts when you accidentally get poked with one when feeding or dealing a goat. That led us to thinking about injuries to us, accidental or intentional. We also found that the goats with horns will use them on those without, increasing the risk of injury. We have seen the goats get horns caught in collars many times, but quickly get free. We keep collars on all of our does, but none of them have horns. So our decision was to gradually sell off or butcher the goats with horns. Now we burn the babies horn buds at about one week of age. We have an electric disbudder, and an iron that can be heated in a fire if we have no electricity. Thank you for sharing this. I appreciate the opportunity to learn. I know this sounds weird to say, but thanks for sharing your "horror" story. It gives people something to think about if / when they get (or already have) goats. We keep collars on all of our goats for the same reasons you do, and we clip them to the fence during feeding time to prevent any bullying. Somehow I highly doubt those plastic chains would hold a determined doe, let alone a buck, if they wanted to go someplace. And as for the horns? We're going through almost the same thing here. Had my biggest/best/most adored doe get gored in the udder and almost died because of it. All because I got a new goat with horns. I'm glad that your husband was there, at the right moment. Even if it was just a few minutes later Hooper could have been gone. Amazing how "close" things get on the farm. Quinn, thanks for that. I don't feed all my goats grain, so that's a consideration here. Since this incident I have decided to start keeping a sharp pocket knife on me at all times (a habit I've gotten out of). Dani, well, "sturdy" seems to be the question in regard to those collars. It says they aren't sturdy enough for tethering, so I doubt I could control a goat determined to go elsewhere (like dive through an open gate). Cherry, my friend once lost a cat that hanged itself with a collar. Scary business! I think the key is well disciplined animals when it comes to dogs, would you agree? Goats don't work that way! Carolyn, thanks. 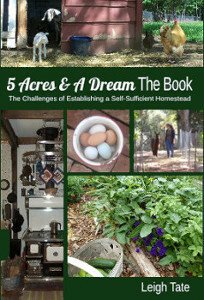 I think these things have to be shared because this is the reality of homesteading. For some things there are potential problems no matter which choice one makes. 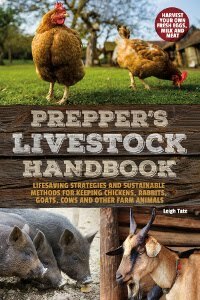 The only "safe" thing to do is not keep animals, but how realistic is that on a working farm or homestead? phew, what a story! I am glad that Dan managed to save Hooper! I like the look of horns - but looks and practicality might not go so well together? I don't agree with the no-collar theory though. I took the dogs' collar off, but then she tried to run after a car and I was barely able to hold on to her. having lost two dogs to car accidents I've learned my lesson and put the collar back on. this way I can constraint her - which might just save her life one day! Happy to hear the Hooper survived! We always disbudded kids at a few days old. I HATED the process, but felt it necessary for safety reasons. We have many children visiting our holding and goat horns are just the right height to catch a small persons face. We had a couple of horned sheep years back, one of them caught his horns, who knows where and the distress for the poor animal was dreadful. He nearly bled to death and the horn had to be sawn off and cauterised. We sold a couple of Anglo Nubian kids to a nice young woman, who didn't want us to disbud them as she thought it cruel. A few weeks later she telephoned us in much distress to say that one kid had become entangled with her horns in a hay net and had died. I am aware that many animals are horned and that is the natural way of things, but if you can minimise the risk of accidents ( and a goat is an accident waiting to happen) it is worth a thought. looking at many pictures of American sheep and goats they tend to look a little smaller than those bred here (Alpines, Toggs and Saannens)and I suspect a collar such as you describe could not be trusted. Finally, and yes I have gone on a bit haven't I?, if anyone has a weapon they are inclined to use it (be it man or goat!). Just re-read this and it sounds a bit preachy, apologies! Wow...that was close. Our Nubians were show goats...no horns allowed. We were very lucky with our girls, for goats they were well behaved and stayed out of trouble...we did not keep any bucks on the property. You're absolutely right in sometimes you just have to chalk it up to everyone is alive and breathing and that's good enough! Glad it did work out! Bettina, that's the problem. Collars are both a danger to the animal but can be a life saver as well. Can't say we're laughing about it yet! It was a very sobering experience, but one for which there is no perfect answer. Su Ba, that would be an excellent idea. This is a heads-up problem for homesteaders. You are free to quote, borrow, and of course, link to as much as you'd like. Gill, I can so relate. You mention horns bleeding. I should mention that our Pygmy buck was disbudded before we got him but grew scurs. Unfortunately, his scurs have been knocked off in some buck scuffles and bled like crazy too! So even disbudding doesn't mean nothing will grow. Lynda, no bucks makes a big difference. But the girls use their horns too! I got rid of my first goat (horned) because she broke skin on my first registered Nubian. It's a constant worry, especially since we're not disbudding. Sarah, thanks! For some things there simply are no perfect answers. Scary stuff. Glad he was revived and this wasn't a sad story to tell in the end. Well, I must admit, the sheep I have are here BECAUSE they did not sport horns. They are half Jacob and could have as many as SIX. NO thank you very much. The Cashmeres have the big horns the twist and keep growing. They cannot be dis-budded. The whole dilemma brings up the concept of a horn hat--you know, some type of delightful chapeau that closes the space in between. When boarding the dog, he has to have a quick release collar or they won't take him. He, however, is obedience trained. Goats, not as much. Maybe the answer is in the stars. I am not there yet. My new stock will not be horned. I am not sure yet whether I am goating or not. Hooper looks like a fairy tale goat. Glad this had a happy ending. I'm with you on horns. I hate 'em. So glad Hooper's story has a happy ending. I started with Angora goats, and my first was an adult buck who was very aware of where his horns were and how to use them. Luckily, he was never mean with them. He did however use them occasionally to make his point. My dairy does are all disbudded, and if I breed for registerable babies I will have them disbudded also. This years kids will be cross-breds (I bred the girls to an Angora buck), so I am planning to leave their horns, since they are all destined to be harvested. Collars are a problem for some. My girls have all proven that in a real struggle they can break out of theirs so I will continue to leave them on. They are all well trained to lead so normal handling isn't a problem. Chris, I'm still experiencing a huge sense of relief. And it's true, sometimes compromises have to be made. :) Dan still isn't convinced about disbudding, so I reckon I'm still on the road to a polled herd! I did read that with Boer goats, the horns grow back instead of out, so there is less problem with them (supposedly). The Kikos can have magnificent horns, which was partly why Dan liked them. Neither breed is disbudded, however. I don't know anything about Cashmeres, so that tidbit was of interest. Diane, I really like Hooper because he's really not aggressive, even in rut. But I'd like to stick with the Kiko crosses for now, in hopes of getting a good dual purpose homestead goat. Sue, I'm learning that the individual's personality can have a lot to do with it too. Two of the kids out of my first Kiko buck use their horns/heads all the time to get what they want. Interestingly, they are both black. The lighter colored kids all seem to have milder personalities. Oh gosh. I am so glad Hooper is ok. That must have been really scary. Thank God Dan heard noises and responded. Poor Hooper!!!! Glad to see he's doing okay now. Farmers have to be ever mindful for the feeling that something is not quite right. I grew up on a farm, my husband did not. I've noticed I pick up on a lot more than he does. Leigh, So glad Hooper is ok. Hope he finds a good home with good people to take care of him. If we lived closer to you and we had our fences ready, we would take him off your hands. We are just now working on our fence posts for our corners. Praying that things go smoothly from now on with him and the others. It takes grit sometimes, glad he came around. What a scary experience! Glad all turned out okay. I've been toying with the idea of getting a goat (sometime in the future as I don't live somewhere I could house a goat), and found your blog. I look forward to reading more! Oh wow! So glad all was well. Blessing that things were as they were. Cassandra, thanks, it was scary. Sandy, I keep wondering why I didn't hear anything. I was over with the girls, who were complaining about when it was time to eat, but didn't hear Hooper. That bothers me. Lady Hawke, thanks. I hope he finds a good home too but no one seems to be buying at the moment. Maybe when the weather gets warmer and pastures start to grow! Crystal, there's never a dull moment with goats!!! Laurel, hello and welcome! Goats are absolutely wonderful creatures, although I'm sure you're figuring out that they can be exasperating! I have plenty of goat information and stories here. We've learned a lot and I love to share. I hope you get your goats soon. We lost a ram exactly that way, when the other ram's horn got caught under his collar. But, we like our goats to have horns because they help keep stray dogs at bay. Jean, I'm so sorry to hear that. It must have been really tough to find him. Good point about stray dogs. Here's a link to a post sparked by this discussion. Collars and Halters by Su Ba over at Homesteading in Hawaii.